I have been blogging away lately and it's very nice to have something to blog about. I have a great Urban Decay giveaway going on. The new Naked3. It's pretty neat. 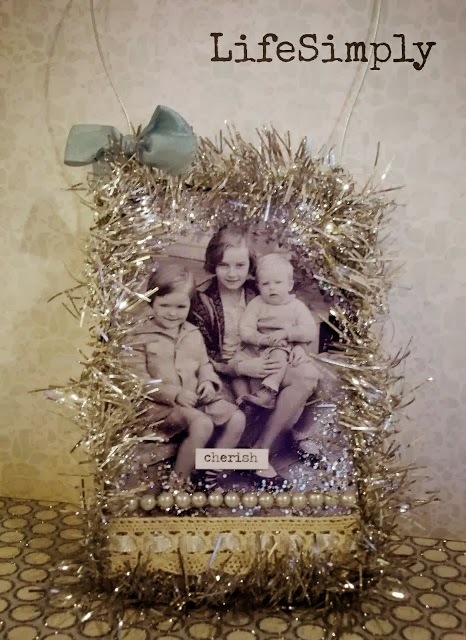 Life Simply shared this great DIY Vintage photo Christmas ornament. I think it's wonderful to use your favorite pictures and make them into ornament! Thanks a lot for hosting Isabelle! Have a happy holiday season. Hi Isabelle, I am new to you and your blog and I'm now following you with Bloglovin! Thanks for hosting this party and I look forward to more. Happy Holidays. Thanks so much for hosting and for your visits!! The ornament is very pretty! I'm glad everyone is better! I hope that stay that way until Christmas for you. Thank you for featuring my project! I just love your blog and have had such a good time browsing around looking at your posts and also at all the other links on your party! Thank you for hosting the linky party... I grabbed your button and linked my post back to yours!